Charlotte Pass has most of the attractions of Thredbo and Perisher but without the noise, hustle and bustle. And Stillwell Lodge offers the best, most modern accommodation in the village. Beautifully appointed, centrally heated rooms with ensuite bathrooms. Sauna, spa, games and guest lounges and a licensed restaurant. We are the closest accommodation to Mount Kosciuszko. Open all year it's the ideal location for skiers, hikers and those who just want to get away from it all. 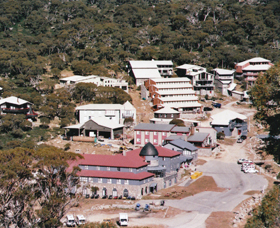 Located at Charlotte Pass, Pygmy Possum Lodge can cater for up to 54 guests and is a non smoking self help lodge. This means that you get to enjoy a great holiday in a relaxed surrounding and save by doing your own cooking and sharing tasks around the lodge. Alitji Alpine Lodge offers you a true alpine experience, and the perfect environment for a family holiday. 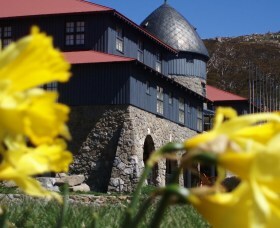 The lodge is located in Charlotte Pass Village nestled in a picturesque valley below the slopes. The lodge is spacious and comfortable with a separate dining and cosy lounge area capturing panoramic views of the mountains and centrally heated for your comfort. There is also a pool table and cable television.